This film is a rare gem. Two brothers discussing a creative process of music making. 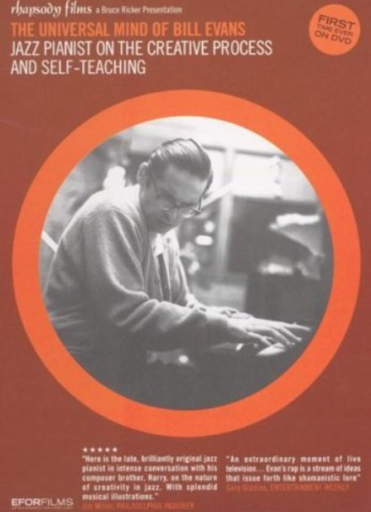 One of my all time favourite musicians, Bill Evans and his piano sounds have been with me for a long time. More than any other jazz musicians, Bud Powell even Thelonius Monk, I don't know why, but, his music touches my heart. So beautiful, lyrical and expressive. His life, full of tragedy. How he could produce such an amazing body of work? Here in this video, we can delve into his mind a bit. "It is true of any subject that the person that succeeds in anything has the realistic viewpoint at the beginning and [knows] that the problem is large and that he has to take it a step at a time and that he has to enjoy the step-by-step learning procedure. They’re trying to do a thing in a way that is so general [that] they can’t possibly build on that. If they build on that, they’re building on top of confusion and vagueness and they can’t possibly progress. If you try to approximate something that is very advanced and don’t know what you’re doing, you can’t advance."